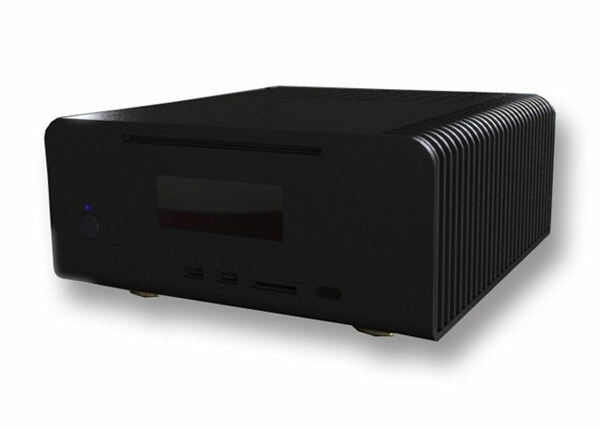 If you are looking for a new home theater PC (HTPC), then you may want to check out the AVA Media iXVL HTPC which is due to launch shortly, and it comes with a choice of Intel Core i3 and Core i5 processors. The AVA Media iXVL HTPC features a fanless design, which should make sure it is nice an quiet when you are watching you favourite movie. Other specifications include a slot loading DVD drive as standard with the option to upgrade to a Blu-Ray drive, an integrated IR remote receiver and remote control, plus support for IPTV services from a range of providers including SKY. The AVA Media iXVL HTPC also features dual DVB-T tuners so you will be able to watch one program and record another, plus HDMI out and SPDIF connections. There are no details on pricing or availability as yet on the AVA Media iXVL HTPC.